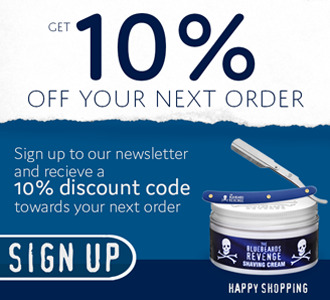 An excellent double edge razor blade with FREE UK Postage! These Gillette blades are incredibly sharp and offer excellent value for money. Made in Russia. If you are from the UK and buy these razor blades on their own then you will not be charged the standard post and packaging charge. The Shaving Shack verified purchase. Over the past year I've tried a variety of DE blades, Feather, Astra, Shark, Perma Sharp, Green and Yellow Gillette and a few others. Some seemed far too aggressive, even in my mild-mannered Edwin Jagger DE89 razor, and left my face looking like I'd gone three rounds with a roll of barbed wire. Others just didn't seem sharp enough to do the job. Eventually I've found these Yellow Gillette Sharp Edge blades to be a happy compromise. I'm getting consistently close shaves with no (or very very few) nicks and no razor burn. And the price for a 100 makes them an economical choice. I'm very pleased with them. Very good blades, I would highly recommend. Have been using these on and off for the last 2 years and are one of the best blades I have used. The only one I found slight better was the feather but for the price difference I would recommend these Gillette's. I have just ordered another 100 of these blades.. Should last a while! 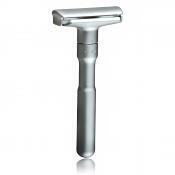 Used with Merkur 23C Long Handled Classic. Not quite as sharp as Feather blades but still too sharp for a regular shave for me. Great if you need to remove 5 o’clock shadow before going out in the evening. 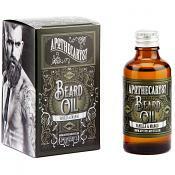 Perfect for removing several days beard growth quickly and smoothly. I keep these blades for just those occasions. I tried these as an alternative to Feather blades. They're OK when new but simply not as sharp. After about three shaves, they start struggling with against the grain strokes whereas because the Feather blades are much sharper to start with, they last longer. I think the Gillette blades are a good entry level blade or would suit a more aggressive razor as they are more forgiving. Ultimately though, I prefer the Feathers for their effortless sharpness. I got these as a free gift with my BB's revenge and thought I would give them a go. 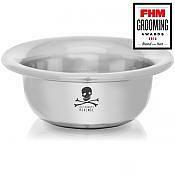 They are excellent blades, very sharp and with minimal risk of getting cuts and they leave your skin feeling very smooth. The only downside I have found with these blades is that they dull very quickly (if you have coarse hair anyway). I average 3 shaves with these blades compared to the 5 that I get with Sharks. These are good quality blades that offer a good shave but don't seem as durable as some of the other brands and when they dull you might instantly get tugging and irritation like I do. Great blades but I won't get another pack in a rush. Sharp and irritation-free for the most part. Sharper than Derby blades, possibly just a smidge sharper than Wilkinson's too. It's not Feather blade sharpness though in case you're worried, these are much more forgiving. 4 stars for these because they simply don't last. At least not like Derbys or Personas or Feathers do. These rust incredibly quickly, I don't shave every single day, normaly every 2-3 days and the 7 o clock's I don't get more than 1 shave out of per blade. Overall won't be buying these, just had a free sampler pack to try. I'll be sticking with Persona Plantiums which are my favourite blades by far. Fantastic blade. Sharp and smooth. I used to shave with gillette blue extra, found in france at 2 euro / 10 and i feel ok with them but these are much better. ..putted in my gillette 80 super adjustable, you don't feel like you 're shaving, actually you don't feel anything but you shave beautifully without itch and with a smoothest that merkur only can dream. highly recommended!! These are very sharp blades, while not the sharpest on the market they are very smooth and have worked wonders cutting my thick hair. They're abit more expensive than some other blades but are well worth the investment. No wonder this blade is out of stock! 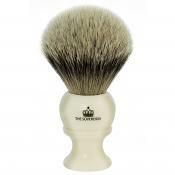 Gives the comfort of a Mach 3, very sharp but offering a gentle shave at the same time. I like to match these blades up with my 1930's vintage GILLETTE DE. These blades are produced in St. Petersburg Russia and they are by far the smoothest and most comfortable blade at its price point that I have used to date. These blades differ from the Russian 7 O'clock PermaSharp blades in smoothness and sharpness IMHO. The SharpEdge blades are coated where as the PermaSharp blades are not. I am not sure sure about the same blades that are produced in India, I have not tried them. I have tried this blade in several razors, and with many different soaps and creams. With every trial run, I get excellent results and of course some are better with certain soap/cream and razor combinations than others but I still get steller results compared to other blades I have used. I find these blades just as smooth and sharp as Feather but far cheaper. The only thing I feel the Feathers have over the SharpEdge blades is the fact that they seem to last longer than the SharpEdge blades. If you like Feathers, I urge you to give these a try. They might surprise you. I really like these blades. Extremely sharp and smooth. 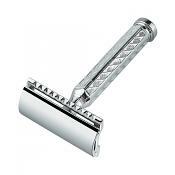 Not quite as sharp as the Feather blades but I get a very close smooth shave with the 7 O'clock in my Merkur 38C. Good price with free delivery. Highly recommended. I Had these as my free gift with when i ordered some shaving cream, well there the best free gift i have even had. These are my favorite blades, almost as sharp as Feather but cheaper so better value, though not sure if I'll treat myself to Feather. They last 5-6 shaves, and I have a bit soft growth. They are sharp so cuts can follow, but a cold final rinse and technique soon gets a comfortable and very close shave. As in all shaves a good pre balm (Proraso) gives a lovely smooth shave and fresh feel; and my wife says it makes me look younger! As a realative newcomer to DE shaving (changing from the ever increasingly expensive fusion blades) I tried a variety of DE blades. I tried a number of different brand of blades but always seem to go back to the gillette and is now my "go to" blade. They may not be the cheapest but price isn't everything! A consistantly smooth shave with no pulling or tugging of stubble no matter if a days growth or 3/4 days either. I normally get 4/5 shaves per blade (or a week if shaving everyday) and at about 10pence a blade using a blade a week a tenners worth of blades (100) last for nearly 2 YEARS ! Using an Edwin Jagger DE89L and gillette 7o'clock blades is a great combination and ideal for newcomers and experienced DE shavers alike. On the downside not quite as sharp as the Feather blades, but there again what is? besides an uber-sharp blade isn't everything, a smooth comfortable shave with no burn or irritation is! 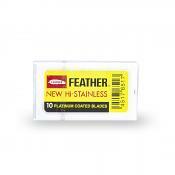 I switched to these from Feather blades and have found them to be superb. The Feather blades were too (thats right) sharp and I find these are perfect for me. No more irritated post shave face for me! Tried these with my Muhle R89, fantastic, really really rate these and will definately be buying some more. At last I have found my winning combo 1.Proraso pre shave cream 2. Proraso shaving cream 3. Merkur 34C 4. 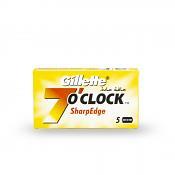 Gillette 7 o'clock blades !!! no burn....no bumps.....no cuts.....no rash !! These blades just seem perfect in my Shavette !! Never knew that the type of blade you use could make such a difference !! I tried the Gillette 7o'clock blades alongside Derby, Feather, and an unbranded Israeli blade. They are clearly ahead of the others in terms of being skin friendly and retaining sharpness over 3 days, The worst were Derby (really rough). These blades are sharp enough to deliver a smooth, comfortable three-pass shave for a week (6 days with 1 rest day). I have yet to cut my troublesome neck or chin with these blades. Great - the best blades I've tried so far! These are great blades, that cause very little if any irritation or razor burn. A real bonus when you've got sensitive skin. The Maths on one of these Gillette blades vs the Mach 3 ones just goes to prove how over priced the multi blade cartridges are. Highly recommended as others have said. Overall these are the best blades that I've tried so far. They are up there with Feather for sharpness, however they seem to cause less irritation than Feathers. I've tried a couple of dozen blades and for some reason missed out on these even though they're broadly admired and few people dislike them. I'll continue to try more blades but it looks like I may settle for these as the blades I use every day. As close as you can get to the feather blade, at a much more competitive price. I am relatively new to the world of DE. Up until now I was using the Wilkinson Sword blades you can pick up in Boots. I gave these a try and I'm not disappointed! Closer shave and not a single nick! I'll try a feather at some point soon, but at less than £3 for 10, I think these will be my regulars from now on! Nice sharp blade. Smooth glide and must be now one of my favourites. Nice to see gillette can make a reasonable priced blade! Having used several different blades over the past few months I've finally settled on these. The price is superb (much lower than other sites) and the delivery, even though I chose second class, was two days from ordering. The blade itself are superb - the best blade I've used bar none. I get no irritation or cuts and having ordered 100 of them I think I'll be sticking with them for a good while. Definitely recommended. These blades are very sharp. To sharp for me they have left my face burning. These might work for you but they certainly don't for me. Tried these after not being very happy with shave from the free blades supplied with my razor. I must say what an improvement, lovely close shave. I'm glad I took a gamble and ordered 30 at once as I shall be using these for a while. Great service and very quick delivery even with free delivery option. What a great blade! 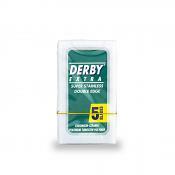 I started off using the Derby blades that came with my razor, as it was first go with DE shaving I was impressed - I had some razor burn which I thought was probably down to my inexperience (and could have partly been). However following recommendations on here, and from some friends, I decided to try the Gillette 7 o'clock Sharp Edge - initially I was reluctant to get them reading comments like 'very sharp blades' I thought I might hack myself to pieces! I need not have worried as I found this sharpness just makes the shave easier. From the first pass on my face I was immediately impressed - a nice smooth easy cut and no razor burn. I've also got 5 shaves from one blade, particularly if using daily. That said, at the price these blades are for 100, I'm quite happy to bin them after three shaves, so I know I'm using a blade in 'tip top' condition on my face - try them, I fully expect you won't be disappointed! Ordered 100 of these blades on the evening of Wednesday 13th February and they arrived on Saturday 16th February. Due to the way they were packaged, they fit nicely through my letter box, so you don't need to be at home to accept the delivery if you order razor blades only. So, for £10.99, I received 100 of the Gillette Sharpedge blades, plus 10 Feather blades as my free gift, free postage, so great value for money. 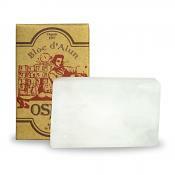 The blades themselves are superb, very sharp and offer a smooth, comfortable shave. I get an excellent shave, BBS finish when I use these blades in my Merkur 39C Slant Bar razor. I can get away with two passes with these blades - WTG and XTG to get a BBS. Highly recommended, you won't be disappointed with these blades. I have been shaving daily with these for the past week. I am not experiencing the irritation I normally get with other blades. 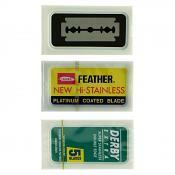 I have previously used Derby, Astra and Feather blades. Will be ordering the 100 Pack as I have found a new favourite! Yes, these are fantastic sharp and smooth blades - probably my second choice after ASCO, but the best thing is the packaging. They really do, with the exception of a bar code, look as if they were made in the Soviet Union during the cold war. An excellent blade comrade! Got these for a freebie, and I've got to say I'm very impressed. Felt very sharp, no drag, very smooth and gentle to my skin. Gave me a fantastic shave that seemed to last ages. Recommended. I tried these after many month of using Feather blades. I must say that I'm won over by these fantastic blades. They are not as sharp as the Feathers but gives me a close shave without irritation. The Feathers would give me a very close shave but would also leave my face burning all day long. Recently returned to my Futur Razor after a decade. Using the 7-O-clocks and I can't work out why I stopped. I'm tempted to try some of the upmarket blades but they would have to be pretty special if these are a basic model. Happy. Used Feather for years (I've got a very stiff beard). Been trying 7 O'clock for the first time. Very impressed. These seem smoother; much less likely to nick myself; less likely to have a sore neck. That's good news as I bought 100 of them ! If you're interested, I shower and leave shower gel on my beard till I've finished showering (makes a big difference), then rinse, then apply some shaving cream from a tube, then shave. Gave me a brilliant shave. Really smooth with no nicks. Really worth a try. I got about 4 shaves out of a blade. 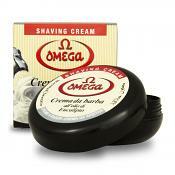 Nice close,smooth shave without any irritation and are amazing value for money too if you buy them in bulk!. These are the first razors that I have used, and I have been so impressed that I do not feel the need to consider any others. Super glide and efficiency with hardly any nicks for a first time DE shaver! I know blades are a real individual choice, After trying quite a few blades on the market I do seem to return to the 7o'clock yellows, they give a great smooth shave which you can get a nice BBS finish, the blade is sharp not as sharp as a feather but I would place it just under them. So if you are after a good all round blade for beginner or someone that uses DE razors and you have not tried them I would definitely recommend them. I have tried several brands of blade - these , and the 'Astra' blades are best for me - and these are a little cheaper , so...7 O' Clock it is - sharp and smooth. I can't say enough good things about these blades. Pretty much as sharp as Feathers, last about twice as long for me as any other blades (5 excellent shaves on average) and cheaper than most. I bought 100 of these and the only question on my mind at the time was whether I should get 200. If I could only give one wet shaving product 6 stars, this would be it. 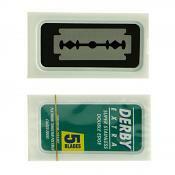 Just changed to these blades after using the free Derby blades I received with my Edwin Jagger DE86 razor. The difference in the smoothness of my shave was instantly noticable with less irritation. Would highly recommend these blades to any new comer whom like myself are new to DEshaving. I have used feather blades for some time now. For the first few shaves I end up with irritations and cuts. Not with these. I selected these as my free gift. 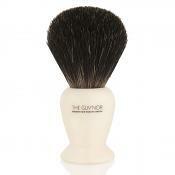 They are fantastic, they give a great shave with no irritation. Not as sharp as the feather but that seems to work for me. Highly Recommended. I recently converted to DE shaving, initially buying a cheap Wilkinson Sword pack with razor and blades. 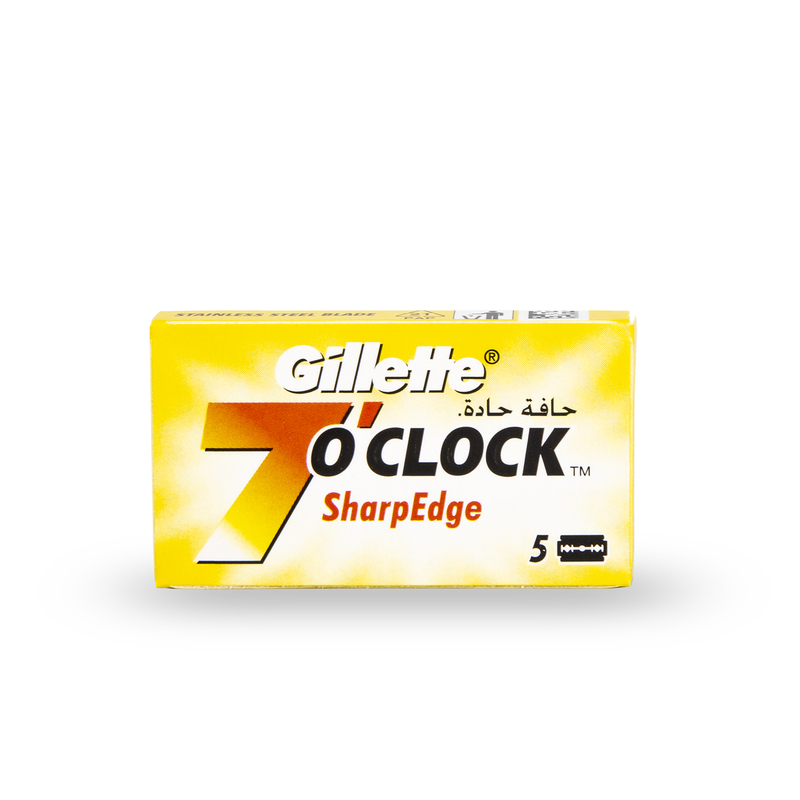 I have found the Gillette 7 O'Clock blades to be great for me as a newcomer. I had tried Derby and Feather but found myself continually nicking myself. I had actually been using Wilkinson Sword in the DE86 then when ordering some replacement blades here I got the chance to try some of these for free and I haven't looked back. As a newcomer to DE shaving these blades are a little more forgiving than some of the others I've tried and certainly for the combination of my skin and the DE86 razor I find them great. I'm currently doing 3 shaves on each edge before replacing which I personally find great value coming from cartridge shaving. A beautifully smooth, sharp blade which came as a surprise as I'd have thought Gillette wouldn't be up to much from previous experiences with cartridge razors. This is the only blade that I've tried that actually cuts every hair cleanly and without irritation - Derby and Wilkinson Sword blades seem to leave hair even after 3 passes, and are far less gentle with the skin. I've never had problems with cutting, nicking etc. But I can see how the sharpness would catch you out if you're not concentrating! Sharp and smooth and long lasting. 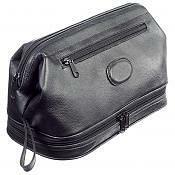 Good allrounder great in any razor mild or agressive. Rapidly becoming my go to blade. Sharpness some where between Feather and Dorco, and works best when it is paired with EJ DE89L. It gives me slight irritation with Merkur 34HD. Comparable with Feather, but regarding price the choice is yours. If you are looking for sharp blade with good price, this is the right blade. However, If your skin is metal sensitive like me, I would recommend Feather over this blade (I think it is softer even when it offers sharper blades). After a year in the de shaving jungle I consider myself a pretty seasoned shaver. I did what most people do when starting out – opted for the ninja blades of Japanese maker Feather. Hence my face looked like a crime scene after each shave. Then I got better and since then I´ve tried the usual suspects and these days shave without any nicks and cuts. That was until I tried these. These are very, very sharp and even though I shave very gently I still end up with a few cuts each time I use them. I even set my razor to a much gentler level but it still doesnt really help the fact that these razors are über sharp. The bad news is that they´re not for me. Having tried many brands of blade, I have settled on these being my "go to" blade. 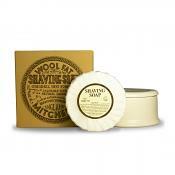 Sharp yet smooth, these are best for my skin and the shave shack price for 100 is the best on the web! I am new to the world of DE shaving and have only tried a few blades so far (Derby, Merkur and Astra). These Gillette blades are the best so far. Very sharp and very smooth. I highly recommend them. 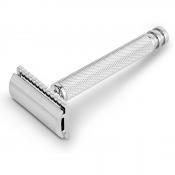 Merkur 42C Chrome Plated "1904 Replica"